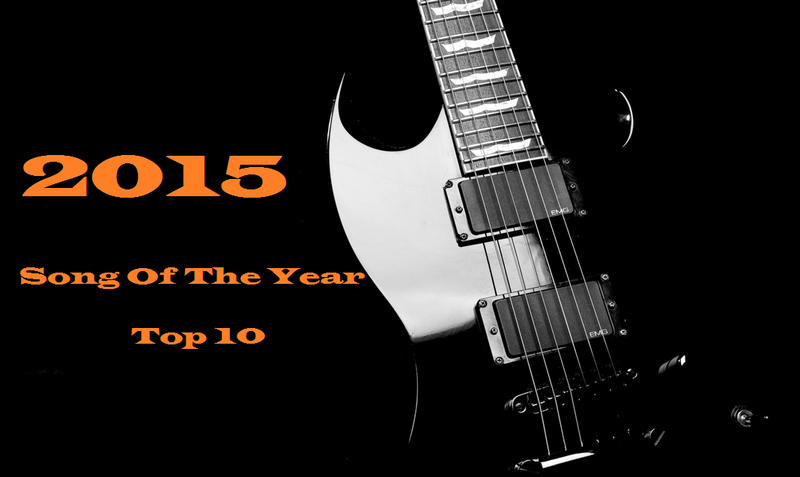 Rock & Metal 4 You: Special: TOP 10 Songs Of The Year 2015! after my list of the biggest disappointments in 2015 I'd like to reveal my TOP 10 songs of the year 2015 today. The following ten songs stood the test of time. Those are the ones that touched me somehow. I can't stop listening to these tunes, so if you don't know some of these tracks check them out. I tried to add a Youtube-Videoif possible. # 10: NIGHTWISH - "Alpenglow"
Nightwish are one of those bands, where just a few songs where my cup of tea until the new album came out. 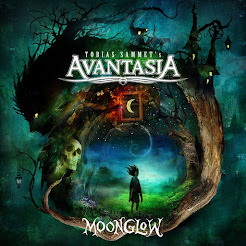 That one was very good and especially the song "Alpenglow" has a great hookline in the chorus and is a fantastic Symphonic Metal song. # 09: TRIXTER - "Every Second Counts"
"Every Second Counts" combines everything I would have liked to hear on the latest Bon Jovi album. It is extremly melodic and commercial, but that's not a bad thing in my opinion. The vocal performance is very good and the melody will stuck in your head for weeks. A typical radio airplay hit. # 08: KISKE/SOMERVILLE - "Open Your Eyes"
This song starts with a terriffic guitar-solo and then the chorus kicks in with a huge hook. This one grabbed me immediately and also the vocal parts of Amanda Somerville and Michael Kiske are pure ear-candy. # 07: NELSON - "Back In The Day"
Every time I listen to "Back In The Day" I have some very nostalgic feelings, because the Nelson brothers sing about their early years in business here. The whole song is very 80's influenced and harmonic. Simply a great feel-good tune for the summer. # 06: SCORPIONS - "Gypsy Life"
"Gypsy Life" is a Scorpions ballad that don't need to hide behind their older ballads in my opinion. It starts calm and builds up a lot of tension throughout the entire song. Close your eyes and start dreaming! # 05: THE POODLES - "Everything"
How cool is that? A Poodles song ends up in my best-of list. You know I was very critical with their latest releases, but "Everything" blew my mind. The reason is clear: this fun-rocker reminds you immediately at their early works. It's damn strong, catchy Hard Rock I'd like to hear more often nowadays from these guys. Sadly no Youtube-Video to this one. # 04: BRYAN ADAMS - "Brand New Day"
This song is such an earworm with a very sweet melody and Bryan Adams' top-notch vocals. There is nothing more to say. If you like Bryan Adams you will love this song. # 03: MAGNUS KARLSSON'S FREE FALL - "No Control"
Magnus Karlsson is a fantastic songwriter and guitarplayer. He proved it during his career a thousand times. This song appears on his second solo outing "Kingdom Of Rock" and features Joe Lynn Turner on vocals, who sounds outstanding here. The song fits perfectly to his voice and is a mixture between traditional AOR and Heavy Rock. The guitars are also so damn infectious. I can't stop playing that one. Great work! Sadly no Youtube-Video here. # 02: DEF LEPPARD - "Let's Go"
"Let's Go" is a homage to old Def Leppard classics and sounds like "Pour Some Sugar On Me" mixed up with stuff from the "Adrenalize"-days. For me that works pefectly and so Def Leppard created one of their strongest tracks in a decade and one of the best songs in 2015. # 01: DRACULA - "Walking On Water" / "Swing Of Death"
Oh that was tough. Dracula is a project between songwriter/guitarist Trond Holter (ex-Wig Wam) and Jorn Lande and was one of the first highlights in 2015. My problem is that I can't decide which song is better. So I put both on number one. "Walking On Water" is a monster of a song - a straight-ahead Heavy Rocker with an amazing guitar solo, an anthemic chorus and Jorn Lande at his best. "Swing Of Death" is different. It has something from a Musical tune, which means it sounds quiet theatralic. It comes along in best Avantasia fashion and you guys know I love Avantasia. Especially the chorus on "Swing Of Death" is simply the best I've heard this year. So both songs deserve it to be number one here. JORN is number in 2015 for me as well. Honestly, only 'Everything' by The Poodles got me.